Get Her Email, Mailing Address, Agent, Manager & Publicist! Contact Oprah at her Official Site (Email), her network Oprah Winfrey Network (OWN), her magazine O Magazine (Customer Service), Facebook, Instagram, LinkedIn, Snapchat (OWNtv), Twitter & YouTube. Join Contact Any Celebrity to get Oprah Winfrey’s email address, agent, manager & publicist contacts. You’ll also Get Instant Access to our Private Online Database of 59,000+ celebrities, influencers & public figures! Want to be featured in Oprah’s O, The Oprah Magazine? 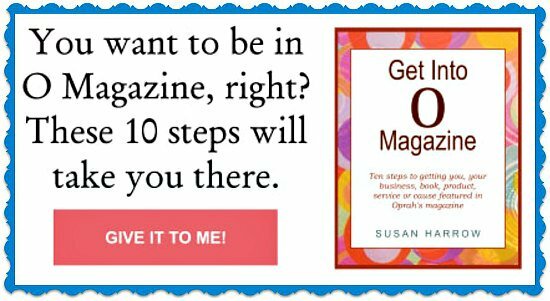 Check out the course, How To Get Into O, The Oprah Magazine by Susan Harrow. Susan has been featured on CNBC’s The Oprah Effect and is the author of The Ultimate Guide to Getting Booked On Oprah. 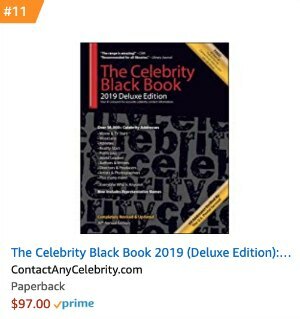 (The Ultimate Guide To Getting Booked On Oprah is now out of print because The Oprah Winfrey Show is off the air. However, there are still plenty of opportunities to get featured by Oprah in O, The Oprah Magazine!). “When 1-800-GOT-JUNK was on Oprah, the phone rang like crazy every day. Then it was over. We weren’t on Oprah anymore. The fact that Cameron has been able to tell the Oprah story over the course of the ensuing thirteen years is ultimately what has mattered the most. This is what leveraging is all about. Want to know how CAC Member Cheryl Jackson got Oprah to raise over a million dollars for her charity? See our Cheryl Jackson: Insider Expert Interview! How To Get Into O, The Oprah Magazine! I got to interview Oprah’s Team (Dr. Oz, Adam Glassman, Nate Berkus, Suze Orman, Martha Beck & Lisa Ling) and hear Oprah speak during the O, The Oprah Magazine’s Fifth Annual O YOU!, at the Georgia World Congress Center in Atlanta, Georgia. 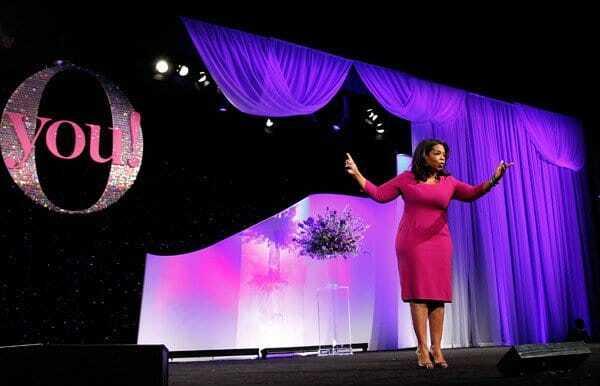 Oprah Winfrey attends ‘O’, The Oprah Magazine’s Fifth Annual O YOU!, at the Georgia World Congress Center on October 15, 2011 in Atlanta, Georgia. 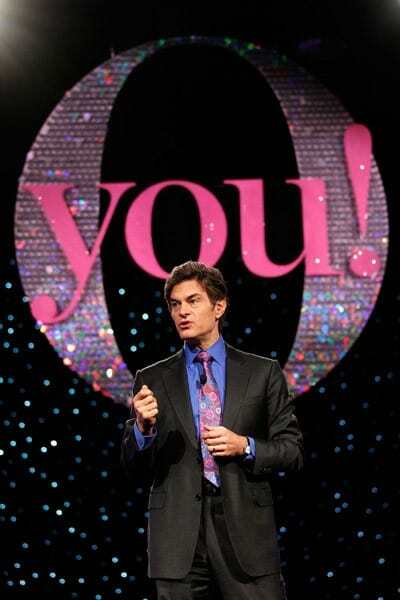 Dr. Mehmet Oz attends the ‘O’, The Oprah Magazine’s Fifth Annual O YOU!, at the Georgia World Congress Center on October 15, 2011 in Atlanta, Georgia. Gayle King attends the ‘O’, The Oprah Magazine’s Fifth Annual O YOU!, at the Georgia World Congress Center on October 15, 2011 in Atlanta, Georgia. Oprah Winfrey attends the ‘O’, The Oprah Magazine’s Fifth Annual O YOU!, at the Georgia World Congress Center on October 15, 2011 in Atlanta, Georgia. 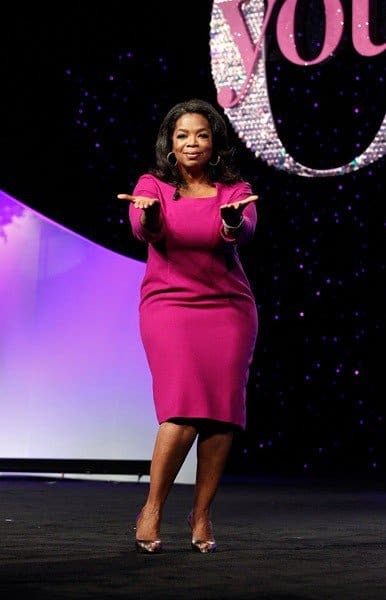 I don’t have words to express my gratitude to you, Oprah! This is the most exciting event that’s ever happened to me! THANK YOU so much for surprising me! I still can’t believe it happened! Also, is it ok that I call you my bestie now? 😉 LOVE YOU OPRAH!!! So fun! I saw the ad last night and loved how you made their day! Congratulations Eric on your journey to great health! This is Beautiful. Well done Eric so deserving of this surprise . You are the best Mama Oprah Winfrey . KerrysKoffee.com Its affordable and truly works. Weightloss Friendly Coffee with an added energy boost that lasts 10 hours!! 😃 No crash! Delicious! this must have been fun! i had some good effects with WW in the past, but currently i'm back a student and can't afford the abo 🙂 instead though, i started walking everywhere! *fingers crossed more or less i remember the parameters, but i just think WW is a great tool to use everyday to have some control and evaluation. I am going to join...and WALK.....doing it for me...need to do "something" For me....tis time...ty Oprah. ..LOVE your food line...yummy!!!!!!! Accepting Christ, knowing and trusting his love as salvation into eternity. Living in the now of Christ love is great. I’m so glad you did not listen to the nay sayers!! So appreciate this program and all the wise and inspiring messages!! Oh my jeepers I so love and need this session ! Much love to you both amazing inspirational empowering ladies 💕💪🏼 Break Open ! Elizabeth & Oprah thank you two for this conversation. I am in Brazil 🇧🇷 listening and learning. Thanks! I was working so much that I couldn’t watch all your show when they were on. Then you were gone. I miss you so much! Anyway to get all your episodes on DVD ? One of my all time favorite Super Soul Sundays! Happy Easter everyone! Let us all be thankful for our loved ones daily! Blessed Easter and also Blessed story ! Life is fragile but how strong is our spirit ! God works with us in very mysterious ways to enrich our life and get us back on track in a blessing way ! Love Gayle King. A breath of fresh air on Morning Show. Smart, funny, curious and fair. I also meant to say im waiting on your new fragrance for men and woman we will call it The O scent !!!!! Congratulations, Gayle! This is your time to shine. When I retired several years ago, I would wake each morning and enjoy my coffee with CBS morning news. I was especially drawn to Gayle King, whose reporting style I could relate to. She's has such a natural demeanor in her delivery of the news and I Love her personal comments. I've never met Gayle, and yet I consider her a friend, someone I can trust to be honest and truthful when reporting. Congratulations Ms King. I worked as a college intern with Gayle in the late 70's at WDAF TV in Kansas City. What a professional! Wow. Wow. Wow. That's so awesome! Well deserved, Gayle!! Don't know what Time wrote but she always seems like a such a genuinely beautiful soul. Wow!!! A huge congratulations to you Gail!!! Amazing. Congratulations! Gayle is very professional in all she does...especially when she sits in the car waiting for a tune 🎶to end, much like most of us do! 😂 All kidding aside, this was a well-deserved recognition of her true talent and professionalism. I am such a big fan and after her interview with what’s his name.... I really was impressed at how calm Gale remained..for if I was in her shoes-I would have lost my cool! Way to go Gale and I love how you accessorize with glasses! 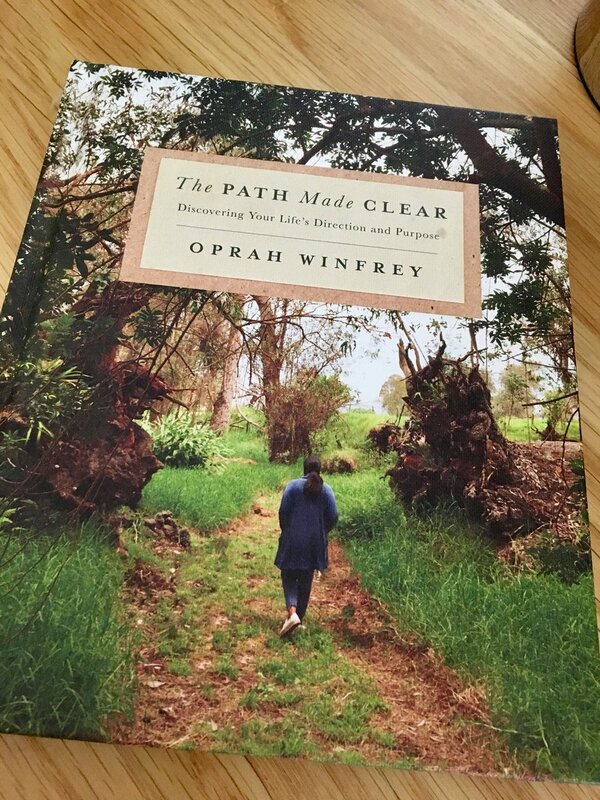 Thanks for sharing this Oprah,Gayle is Awesome,also what a Beautiful Cover Photo! Awesome! Congratulations Gayle King 🎉 You are one smart and classy lady. Your love for news is obvious to all! I was honored to meet you on the Girls Get O-Way Cruise. You deserve it Gayle. I still miss you XM radio show. Congratulations! Life is really truly what you make it and it’s important to be thankful for everyday we are given on this beautiful earth! I experienced that with my father when he took his last breath. It was a wonderful event. Words can’t explain that feeling. Good morning #LadyO!♡ Thank you and your BFF Gail King for those beautiful Oprah magazines, I greatly appreciate them. Now my next step is to meet you and your bestsie, and do a lay out model print ad in your magazine. Good morning Oprah thank you for all you do for this world. I remember when I was a kid we loved watching you on the news here in Baltimore. Thanks for sharing this story. You need to meet my daughter. 19 years of chronic pain and illness. Decided to take herself off narcotics and have pain and life instead of being drugged. She wrote about it. Amazing! Hello Oprah, my first time catching your show live. I am sure you have something for all of us to enjoy. Thank you for all you do in this world. Anything what Oprah is doing or any interesting interviews is fantastic! Lots of fab motivational informations like her! Greetings from UK 🇬🇧. Lichfield! Life is about living, so let's make the best of it. We only live once, as far as we know. So don't sweat over small stuff. Love!!! Oprah, my daughter is a product of the opiod big pharma of the 90s. Just wrote about it and her choice to get off the drugs and live with pain. Read Jessica Jorgensen "Revelations " 1, 2 and 3 on Facebook. Oprah, I am still waiting to hear from you! Did you manage to read "The Persian Lover" ? It is now in Screenplay! We are here on this earth to help our fellow man how ever we can, even if its only a hand shake, or a smile. You do not know what is going on in someone is going through until you ask them. Everyone look so beautiful and happy. God bless you guys. "I have never seen it look this good". That was so thoughtful and encouraging. If I tried this look I would look pregnant. I have a belly. 🙂 But it does look nice on her. Have a beautiful day ladies. You both look beautiful I like it it's real. I will say this.. when I see Oprah, and that hair.. I thank god for my stylist.. I got that hair.... yes... yes... I love my stylist... and it's funny when ppl see me they want to touch it aka just to see if it's my own or extra stuff.. I just laugh... I like her boots..
Love Brie Larson!! Beautiful girl inside and out! I love Oprah’s dress! It Looks so pretty!! Tan from Queer Eye is amazing. 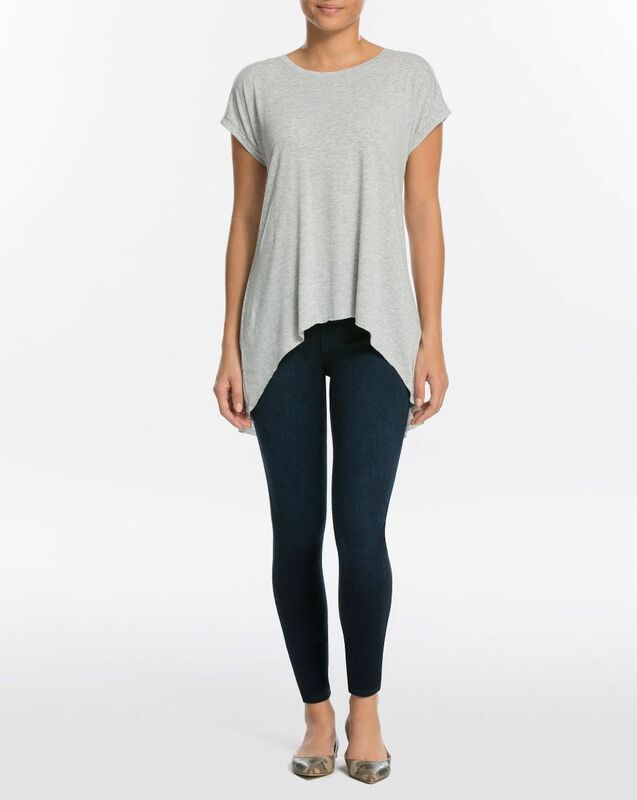 Love that "French tuck" on you!! Oprah, loving that hair do of yours you look so classy !!! And your outfit is cute !!!! I think purple and sky blue looks best on you !!!! You are looking great! Oprah keep up the good work.. So some person did this and decided to call it a French tuck and now it's a 'thing' even though people have half tucked their shirts in for decades cause they wanted to? 🤣🤣🤣 Love Oprah ...but this is just silly giving a half tucked in shirt a name cause a dude in fashion (or whatever, I don't even care) named it and capitalized on it. she does look great! and so do you and Galye. Nice footage. Great hug action Oprah!! He’s so cute! I love the way Oprah is showing some love to Trevor. Trevor Noah! Loved him on Super Soul Conversations! Gotta catch this interview on demand! Oprah having a lot of fun with Trevor Noah!! Love how Miss O just drapes herself over T.
I love you oprah winfrey😍😘😘♥️♥️, you motivate me to fight for my dreams . You look beautiful. I love how happy this gift made you.You lit up like a Christmas tree.God Bless you. This is going to be a good one! and I have classes tomorrow 🤦🏾‍♀️. Well, bed at midnight. #staygroovymyfriends and see you at 11:00pm! Just amazing... this is a woman who can have anything that money can buy and she is still so appreciative of this nicety from Trevor...class. My Dear Oprah. I need you so much right now. Your influence, wisdom, knowledge and compassion is what I need right now. Please call me: 419-788-0804. Elizabeth Hoch. I need your help. Miss Oprah your hair right now is complete 🔥🔥🔥🔥🤣❤️❤️❤️❤️ can’t wait to see you on the daily show tonight! So Special, Fabulous Oprah Winfrey! Trevor just needs to show up and I’d be happy. Wow, haven't seen Oprah in a while. She looks fantastic. So classy! MS. OPRAH,YOU ARE ABSOLUTELY BEAUTIFUL!!! Oprha and her lap dog Gail apology to Michael Jackson family tell how the 2 mens lied do a special on that. Nice Trevor, the key to a gals heart is good tequila. Love you Guys! Thanks for this! I wish I had a friendship this pure and reciprocal. You guys are truly blessed to have found each other. I love and admire you both! God bless you! Fabulous and love this book! I sure love you two..Gods's blessings to you both!!! I love and wish I had a friendship this natural! BLESS. Good morning, I love you both... Oprah and Gale..I am just finding out, I am related to the Beloved Coretta Scott King can you imagine?...So, I wanted to invite you and Gale to the family... The Scott Reunion..in Atlanta, GA! Thank you both for inspiring me! It's a blessing when we can give back from the blessings we receive. Love the Boys and Girls club ! I love you and cannot wait to meet and share my book with you. I love the book. I read it s night where my mine is ready to gather all the information before I go to bed. We love her and her husband! Way to go! Congratulations! Keep up the great work and stay blessed! Remember. "Team work, makes the dream work!" Best of luck, There is a business Idea I have involving WW which I would love to discuss. Who should I contact? Tamela, I am so proud of you joining the WW program, you are one of my favorite people. From my heart to your heart to God's wishes for you, you are ready. It's going to happen. God's going to show up and shout out. I am praying for you. You can do this, right Oprah? Love her! God bless you on this journey! I am so happy about W.W but I cant get with the new system I have joined like 3 or 4 times and no one can explain how to follow it .I did W.W along time ago and that system does work I lost 65 pounds but when my dad died I went into deep depression and all I did was eat so I gained it all back .And so I decided I would try again and see if I could loss some weight cause I need to loss weight due to me being a diabetic and my sugar is never below 300 so my health is a big issue and I could use alot of help and in learning how to use the new program . Wishing you well on your WW journey! My friend goes to WW meetings and is doing wonderful! She loves it!! Awesome addition to the team! She is such an inspiration. I want to see them all win because having a lot of weight on you is not good. Maybe is not the theme here, but I just want to tell you THANKS Oprah, thanks for all your help for us in Puerto Rico. Thanks Oprah. I can not be more grateful, thanks and sorry for my spelling my first language is not english. Thanks Oprah. Congratulations on your journey Ms. Tamela Mann, you are a beautiful Woman of God. Oh, I LOVE her! She’ll be a great ambassador. What about us that do not have the money so we can lose are weight. What about us?????????? Love our parents who loved us so much and helped us becoming the best version of ourselves!!! Miss my parents so much! Love you mom and dad! I loved that you read this book for us on Audible!!! I was sad when the story was done. What a lovely way to spend my commute. You made traffic jams enjoyable!!! I was living in Brookfield CT at the time of Sandyhook. It was only 10 months after putting my 20 year old son to rest. After he was shot at close range in the heart. He died alone on a side walk. 5:41 2-3-2012. "Becoming a better person shouldn't involve change, it should involve growth." 😏😏 said someone wise somewhere on planet Earth.<3.<3. I am from Guatemala 🇬🇹, the best and beautiful book 📖 📖 I am reading your book. Ahhhh I love seeing my top fan badge on my comments. Makes me smile everyday 🙌🏼🙌🏼🙌🏼🥰🥰🥰😊😊😊❣️❣️ Like if you feel the same way @TopFans! As a teacher, it hurts me to see the expectations the school system has for so many students who are in this state of “failure” because of their environmental situations. We never stop growing. I'm 43 and I'm still growing up. Wanna register psychology soon. Stay at home moms have a hard job. Sometimes harder than working on the outside. Thank you! I can't wait to meet you two ladies! I'm a single mother from Mississippi currently living in Alabama for almost 20 years. I voice my opinion and try to teach her little I know. Growing up for me transitioned at the age of ten! Absolutely! People love differently, see love differently and define love differently all from experiences from childhood. Love is love. Kids in the broken community here in Africa needs to have you talk with them, how can that be arranged please? Loved Mary Tyler Moore. I got to see a young woman living on her own making her own way in the world. Loved the book but your voice I lived for! so calm and delightful to hear you narrate your life! I had to have two copies of your book Becoming Michelle Obama. One to make notes and highlighter markings and one to share with my guest. I love this book! Thank you. I am already excited for the new artists we will meet through @ava in this new collaboration with @Oprah. Amen to them both!